The rise of smartphone and increased internet penetration has made consumers shift their focus to online purchases. And thus the traditional brick-and-mortar retailers are focusing on having an online presence. However majority of purchases are still made in retail stores and retailers cannot afford to ignore these offline buyers. We can have all the advanced analytical tools to track the online shopper behavior but when it come to physical stores we hardly gather any data about their physical journey in-store. Several gadgets that gets attached to shopping trolleys or shelves were launched to understand consumer behavior and provide enhanced shopping experience. But they failed miserably due to their inflexibility and high cost. But lately, Bluetooth low energy beacons have been getting a lot of traction and retailers are among the earliest beacon adopters. This is because Beacons are inexpensive devices that transmit relevant, targeted messages and information to nearby Bluetooth-enabled smartphones. Through Beacons, a customer can be offered coupons upon approaching a product in-store. This way your customers can be made aware of various offers running in-store and influence their buying decision. By introducing special offers that is only available to loyal customers, you can not only ensure customer retention but also ensure the success of your loyalty program. When running a retail business, customer satisfaction must be your top priority. Enhancing in-store experience not only impresses your customer one time but will help you in building up long-term customer loyalty. With Beacon technology, you can send contextually relevant information directly to their smartphones based on their location, buying preferences and much more. You can guide your customers around store through indoor navigation; offer coupons when there near a product or a certain section of the store. Customer information is extremely crucial for retailers looking to optimize their services and deliver enhanced customer experience. With the help of Beacons, you can collect valuable customer insights to your business such as no. of visits, promotion effectiveness as well as sales driven through campaigns. Information such as customer’s in-store activity, product preferences, etc. gathered from Beacons can be used to create and deliver personalized offers. Beacons are inexpensive when compared to high-tech devices used for customer engagement. Due to its low cost of investment and power consumption, beacons are extremely cost-effective. There is maintenance and operational cost attached to beacon technology, but it is relatively small compared to the potential revenue it can generate. It allows businesses to get deep customer insights and send them targeted and personalized messages directly to their smartphones. These targeted message have more impact when compared to promotional emails or social media posts. 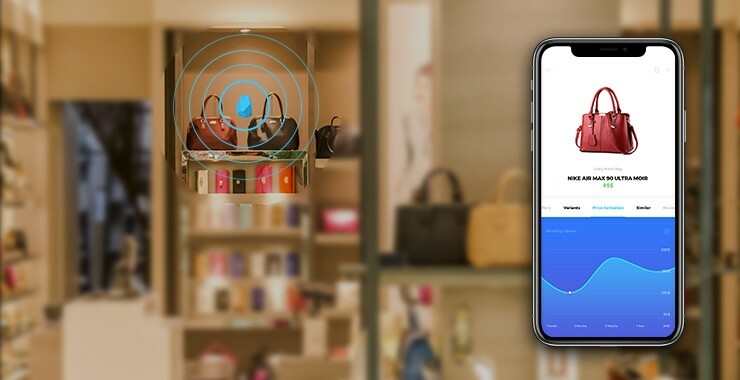 With the increased usage of smartphones and the trend moving towards mobile shopping, retail companies are getting shopping applications developed that are connected to beacons. Popular retail chains such as Macy’s, Target, Starbucks have already began using beacons with their mobile applications. Beacons serves as link connecting the digital and physical retail space and enables mobile app to increase user engagement and app retention rates. With the number of use-cases of Beacons mentioned above, there is no denying their potent impact on customer in-store experience and purchase decisions. Moreover, there are new possibilities getting explored on a daily basis by multiple business verticals. With effective strategy in place, beacons can provide good ROI and boost your sales. Planning to implement a custom beacon solution? Get in touch with us today. BLE Mobile Apps is a leading Beacon App Development company with an expert team of developers and designers that will deliver the right solution to help you achieve your marketing goals.